December 30, 2009 In News What is Michelle doing now? Michelle Chaplow worked on location in the Mediterranean island of Cyprus in December. The Turkish republic of Northern Cyprus proved to be particularly photogenic, especially the coastal towns of Famagusta and Kyrenia. Famagusta is one of the three border towns. Founded in 300BC, it provided a natural harbour and grew from a small fishing village to a fully-fledged town with its own port – a gateway to the Eastern Mediterranean. Its rich history has created a very interesting architectural mix. 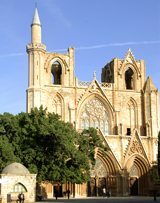 Cordoba in Andalucia has a mosque converted into a cathedral, while here in Famagusta, the Lala Mustafa Pasha Mosque was formerly the Cathedral of Saint Nicolas. “Abbaye de la Paix” Bellapais Abbey, south-east of Kyrenia, is a fine example of Gothic architecture. In terms of hotels, the family-run Bellapais Unique Hotel and gardens is just perfect. At this time of year, orange, lemon and pomegranate trees are in full bloom, while the horticultural highlight is, undoubtedly, a pair of vibrant red pointsettia plants next to the swimming pool. In the more remote parts of Northern Cyprus, time has stood still, with shepherds and shepherdesses grazing their sheep in total tranquility, old men chatting, backgammon being played on well-used sets in village squares and, wherever you go, a warm Mediterranean smile to greet you. Superbly situated just off Regent Street. 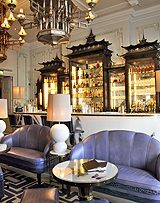 London’s first five star hotels and a member of ‘Famous of the World’ is the perfect base to discover the vibrant British capital. 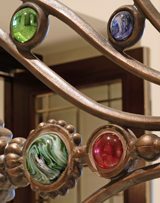 A totally refurbished Palm court, a superb venue for traditional afternoon tea, attention to detail throughout from the fabrics to the elegant entrance gates make a visit to the hotel a special occasion, be it for business, a photographic shoot or for pleasure. Whilst at the hotel Michelle also captured on camera the sophisticated Artesian bar, which boasts an exquisite cocktail list and scrumptious food in harmonious surroundings. Cyprus has a rich cultural history, having been ruled by Romans, Byzantines, Greeks and British. The island has been the site of human activity since the 10th millennium BC, its strategic east-meets-west trading location enticing successive empires to occupy the Mediterranean island through the ages: Hittites, Assyrians, Phoenicians, Egyptians, Persians, Arabs and Ottomans, and, indeed, the British administration. The origin of the name Cyprus is widely disputed: some say it comes from the cypress tree, others from the word copper – during the Bronze Age, Cyprus produced and traded copper. Legendary personalities such as Cleopatra, Alexander the Great, Leonard da Vinci and Richard the Lionheart all passed through the island. Many of the monuments from centuries ago, such as the Tombs of the Kings at Paphos, built during the Roman rule from 58BC, still remain today. The Greek goddess of love and beauty, Aphrodite, is said to have arisen from the sea in Cyprus, and all around the island everything from sweets to hotels and businesses honour her name. 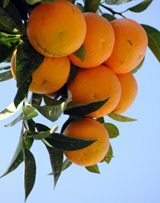 Aphrodite Delights, a family-run business based in Geroskipou, has been making typical Cyprian rose, bergamot, mint and orange delights since 1875. In terms of gastronomy, the meze is very similar to Spanish tapas, with kebabs and slow-cooked chicken casseroles being other typical dishes. 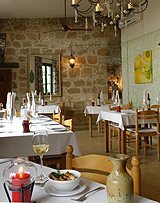 During her shoot, Michelle photographed Tweedie´s restaurant in Paphos, which specialises in Cyprian and international cuisine. As Michelle found, all in all, Cyprus is a beautiful and fascinating island with countless interesting angles for photography.